I’m just crazy about books. Not novels, but books on art, typography, printing, sign painting, design. Old, rare, whatever! Today I’m sharing a gorgeous ornamental Italian alphabet dated 1839 from my first edition ALPHABETS book by Laurence Scarfe. 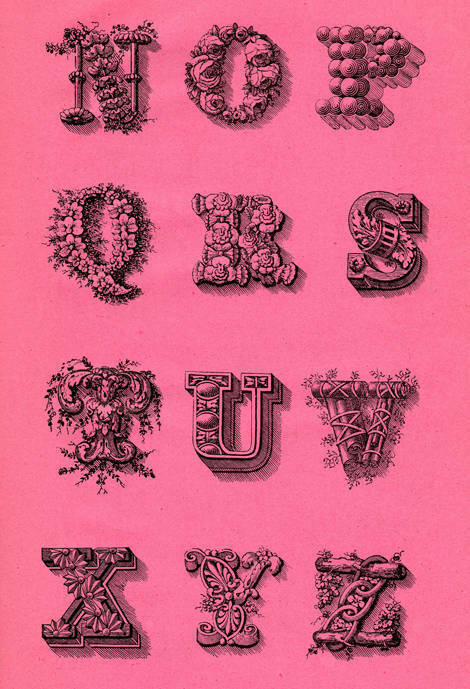 Each letter different in illustration and all printed to beautiful Pepto-pink pages. Click on images for larger JPG versions. These would be so beautiful framed, used for greeting cards, collage, most anything! If you make something with them, I’d love to see it! And, speaking of books…Read my latest post over at SC Johnson’s Family Economics about collecting Christmas books! This entry was posted in Christmas, Decorating, Family Economics, Free digital downloads, Free Jpgs, free vintage art, Paper Crafts, SC Johnson, Vintage Ephemera and tagged Alphabets, Family Economics, free vintage clip-art, SC Johnson, typography. Bookmark the permalink. Omg those are intensely pretty! Thanks, I just love these, and on pink… Yummy! Those would be beautiful merely framed and placed on the wall of my office. That H is fantastic. Very steampunkish. Just to say that you have always so great ideas ! Thanks ! My 4 year old daughter loves these so they may make their way to her wall. Thanks again. ooh lala!! These are beautiful! These are lovely; thanks for sharing! Wow, these are great! Funny how the I and J do double duty and the V can become the W.
Thanks, Cathe, I love these! They are so ornate, can’t wait to figure out a fun project to do with them! Thanks again, Theresa. 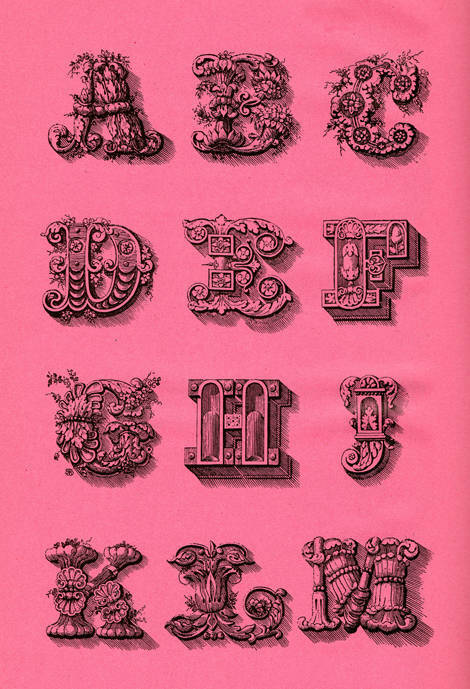 I have never seen letters as ornate as these, they are gorgeous! Thank you so much for sharing them. 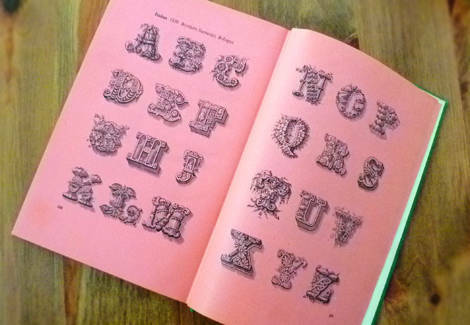 What a treasure you found – I love typography too!!! Thanks so much for sharing. Wow. These letters are fab.Thanks for sharing with us. The Italian alphabet does not contain I or W. They have no words with W so they always have trouble writing our surname when we travel there. I love this alphabet! Gorgeous. Thanks so much for sharing. I would say the J is missing, not the I. The Italian alphabet would have to have an I in it for them to spell the name of the country so, I looked up the alphabet and it seems they are missing J, K and W. Either way, beautiful pics. I think I may print them for my hallway. I knew if I stalled long enough my awesome readers would have the intel on the missing letters of this alphabet. Thanks you guys!! I wasn’t sure myself! You are awesome- thank you for sharing all the great material. Would there be any way to make these individual?